Francesca P @ Glenbrae School: State of matter. Today we have been learning about the three states of matter (solid, liquid and gas) and the changes of matter. 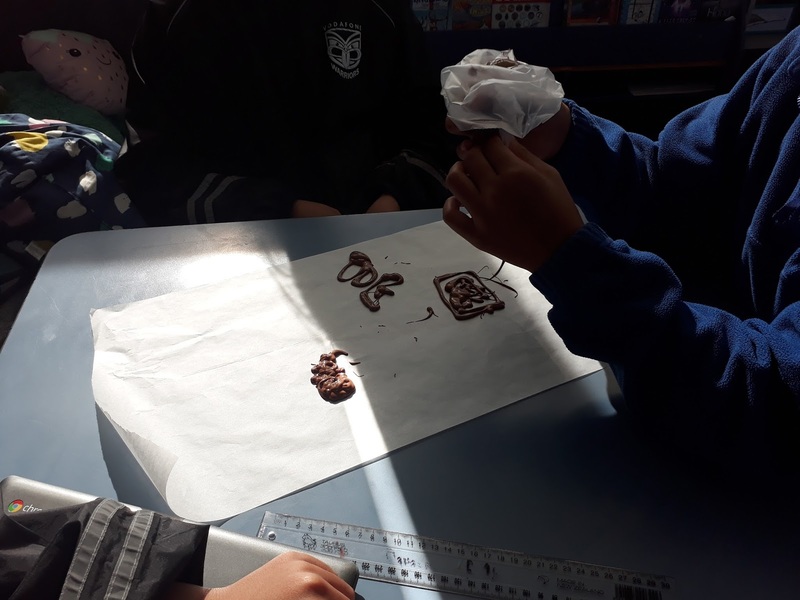 In this experiment we first melted the chocolate in the microwave . This meant that the chocolate changed from a solid to a liquid. Then we left it to cool down. This meant that the chocolate changed from a liquid to a solid. Well done for explaining this task. What shape did you make out of your chocolate?